More than 200 candidatures have been presented so far. Around 200 public figures are to make up the eight juries (one for each category) in charge of granting the Prince of Asturias Awards. 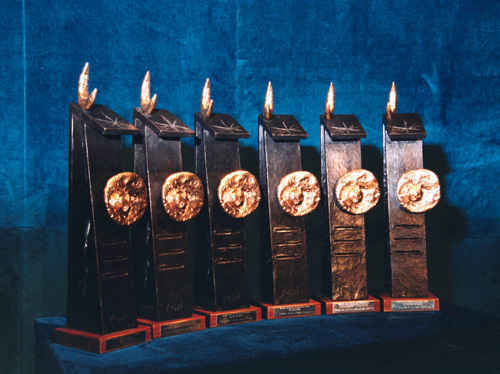 This year marks the Awards' thirtieth edition. The members of the corresponding Jury will be holding a press conference on the first day of meetings at 10.30 a.m., right before the deliberations are set to begin. The Jury's decision is to be made public at 12 p.m. on the second day of deliberations of each of the juries. Each of the eight Prince of Asturias Awards consists of fifty thousand euros, a sculpture specially made by Joan Miró that symbolizes these Awards, a diploma and an insignia. To date, more than 200 candidatures from forty-six countries in the five continents have been received at the Prince of Asturias Foundation's offices. Some of these candidatures have been put forward by heads of State, former Presidents and Prime Ministers from several countries, as well as academic and scientific organizations, and public figures from worldwide political, social and cultural milieus. Candidatures that have been presented at Spanish diplomatic representations and consulates abroad must be added to this number, as well as the candidatures that the members of the juries themselves may put forward before the start of their deliberations. The deadline for the Prince of Asturias Awards for Concord and for Sports, whose corresponding juries will be meeting in September, is 23rd July.